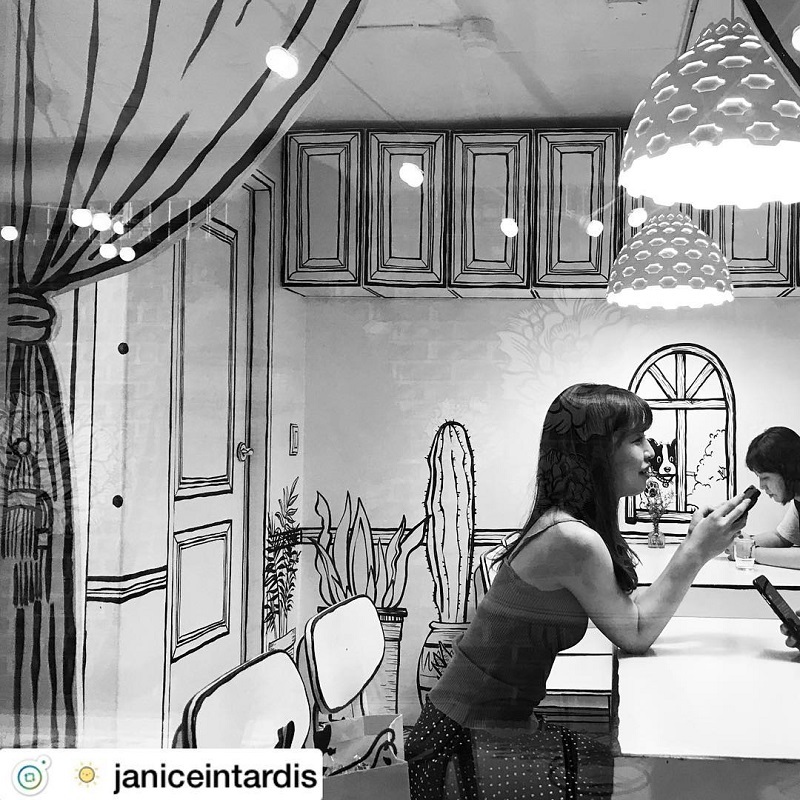 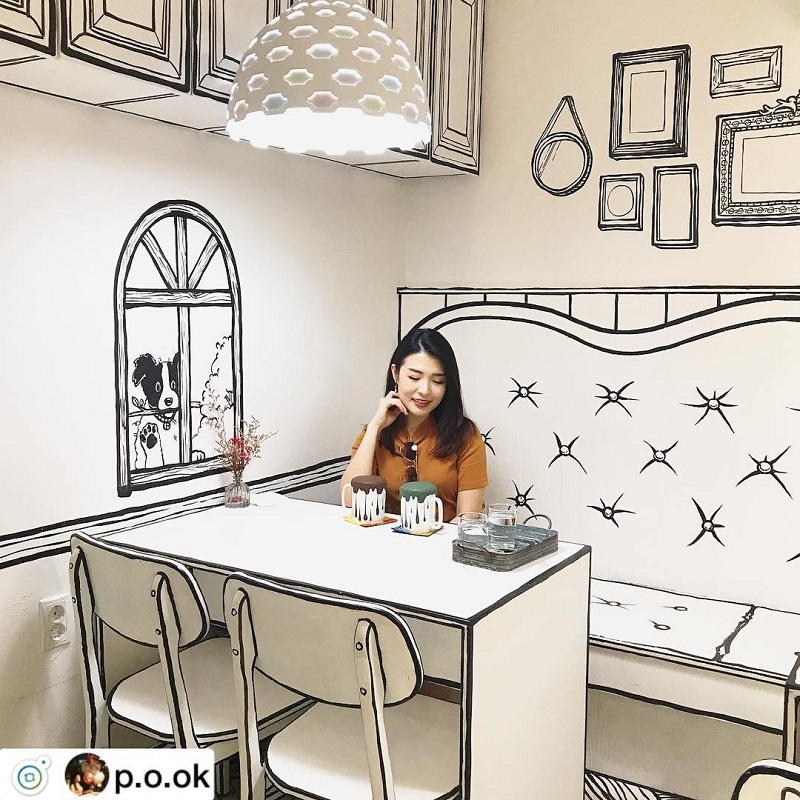 An Instagram-worthy cafe in South Korea, which lets customers feel like they are inside a cartoon, has impressed a lot of netizens after images of the coffee shop went viral recently. 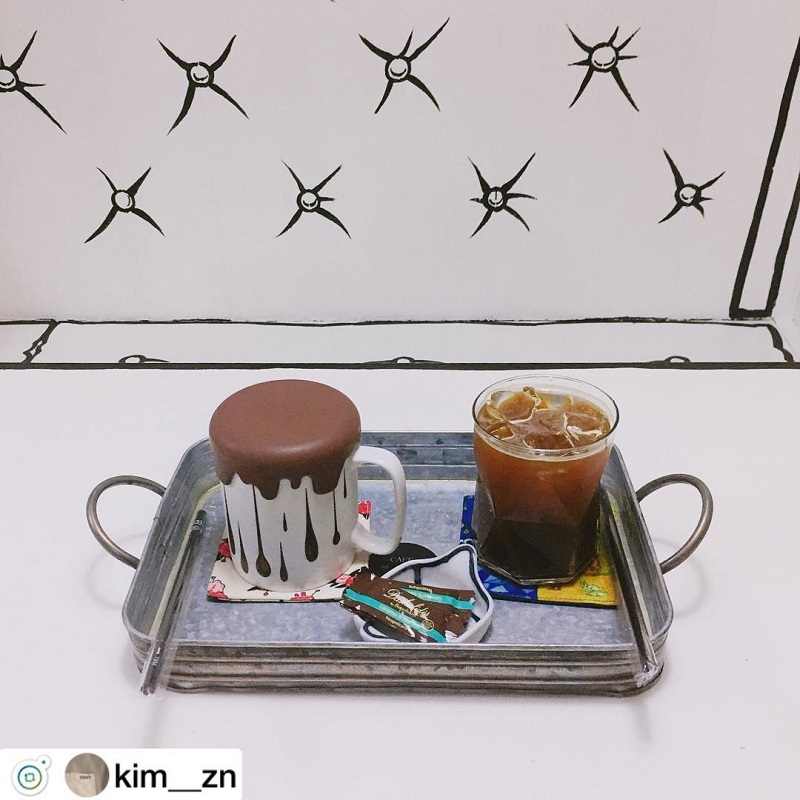 ﻿ Named after its address in Seoul, “Cafe Yeonnam-dong 239-20” is reportedly inspired by popular Korean TV drama “W (Two Worlds)” which stars Lee Jong-suk and Han Hyo-joo. 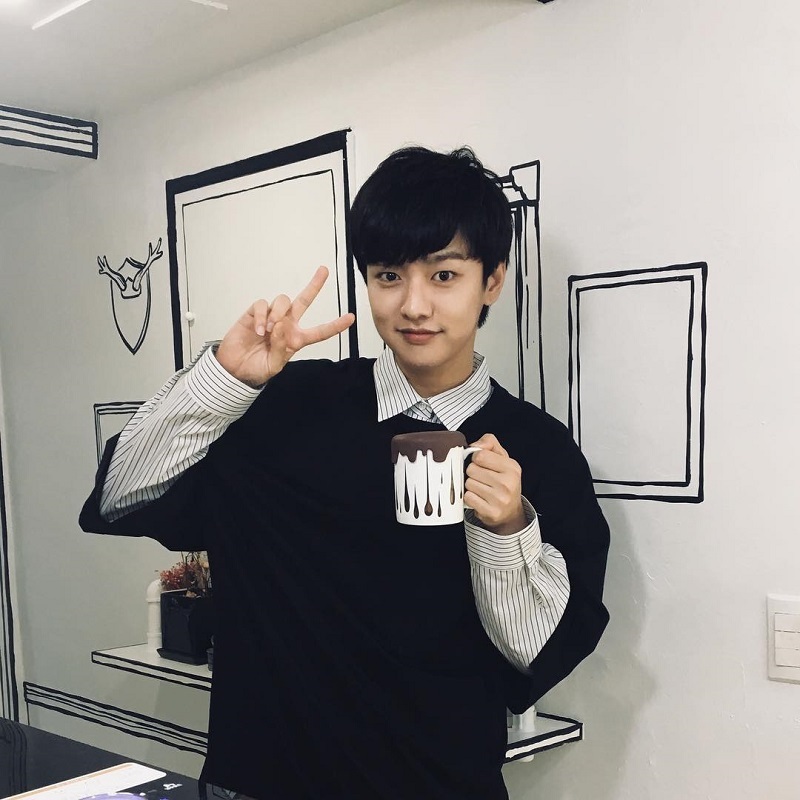 In the show, the lead characters are shown crossing between the real world and a fantasy world inside a webtoon. 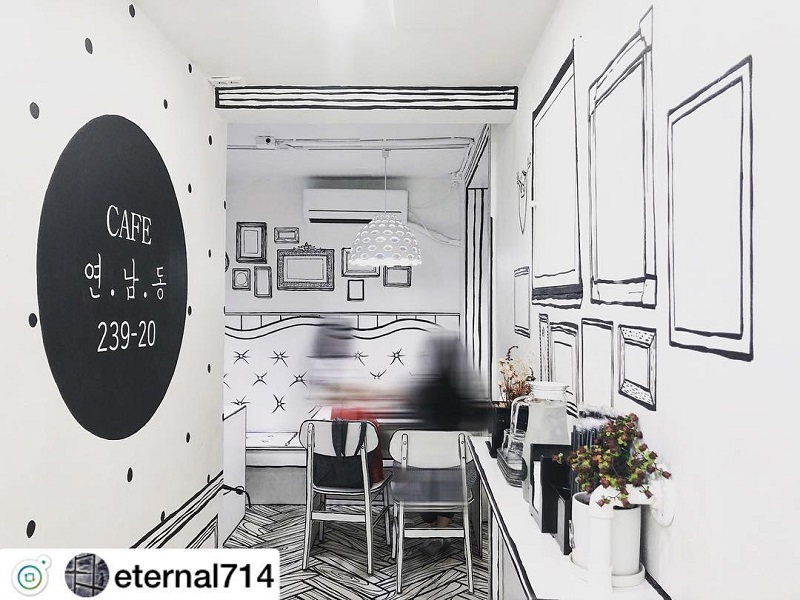 According to BoredPanda, the delightful little cafe opened in July 2017 in Yeonnam-dong district near Hongik University station and has since enthralled visitors with its unique design and decor. 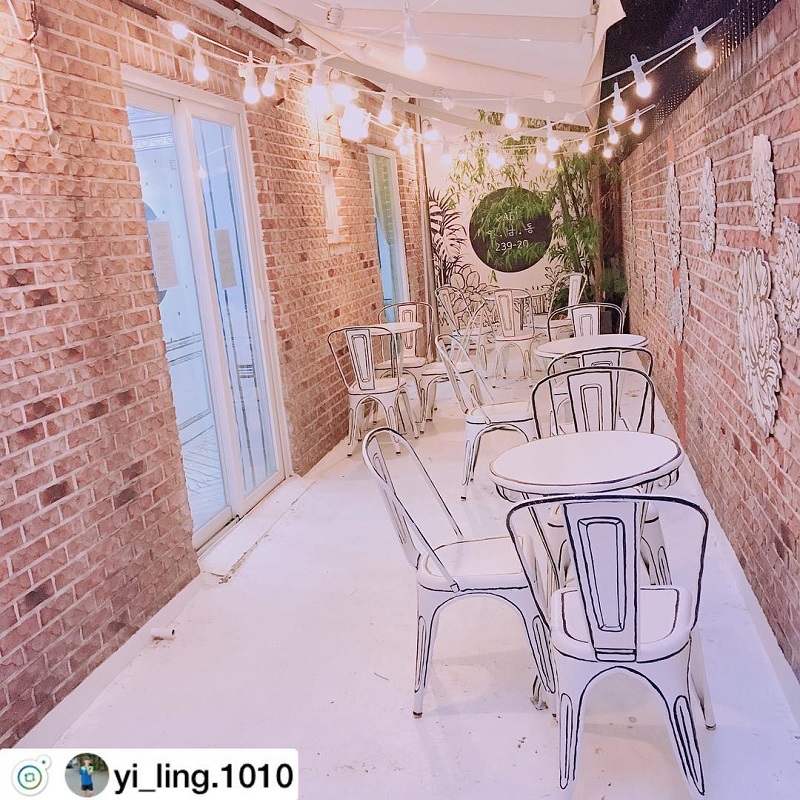 The exterior looks like a typical shop, but upon entering, customers will immediately notice what makes it so special. 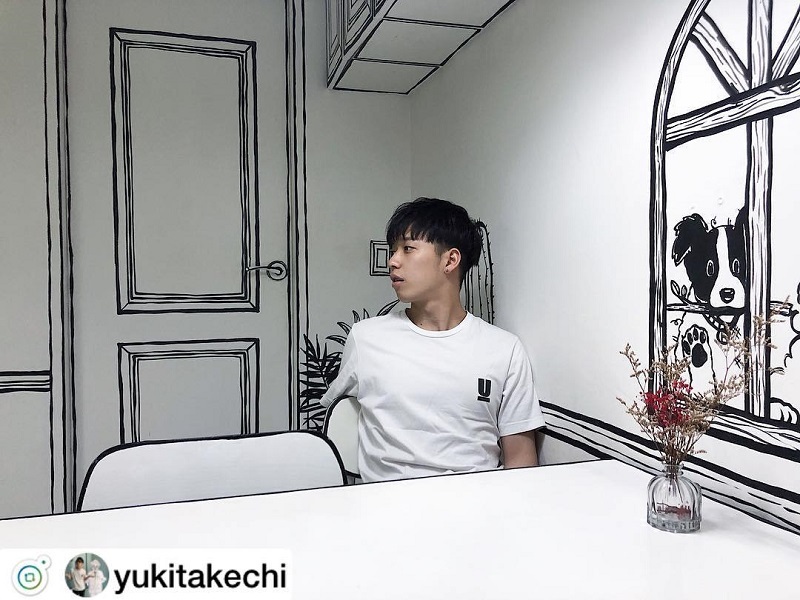 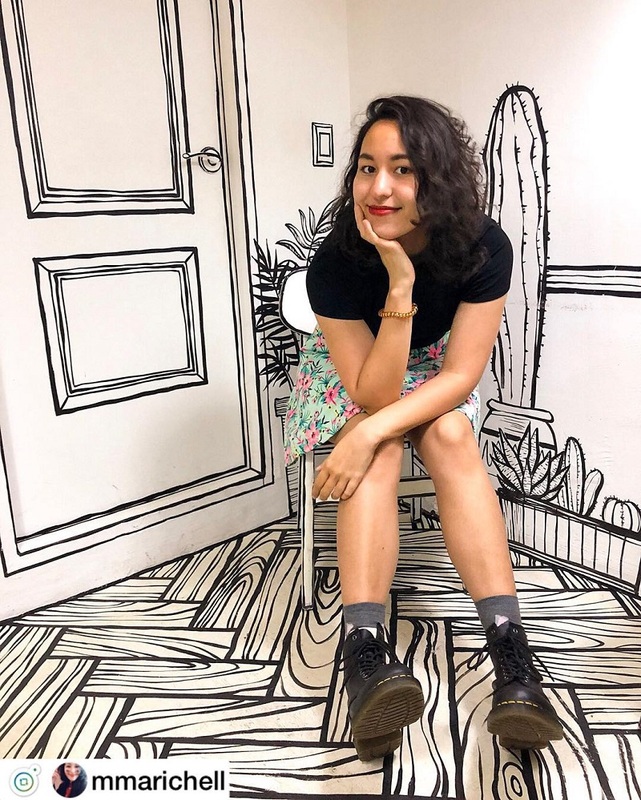 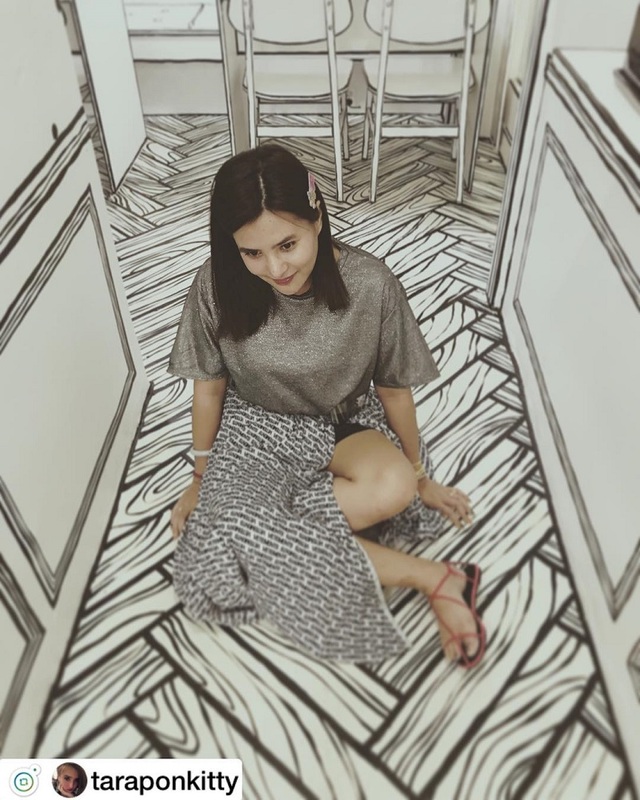 The walls, floors, the furniture, and even the dishes are painted to look like black and white cartoon artwork, producing a mesmerizing effect that is simply out of this world. 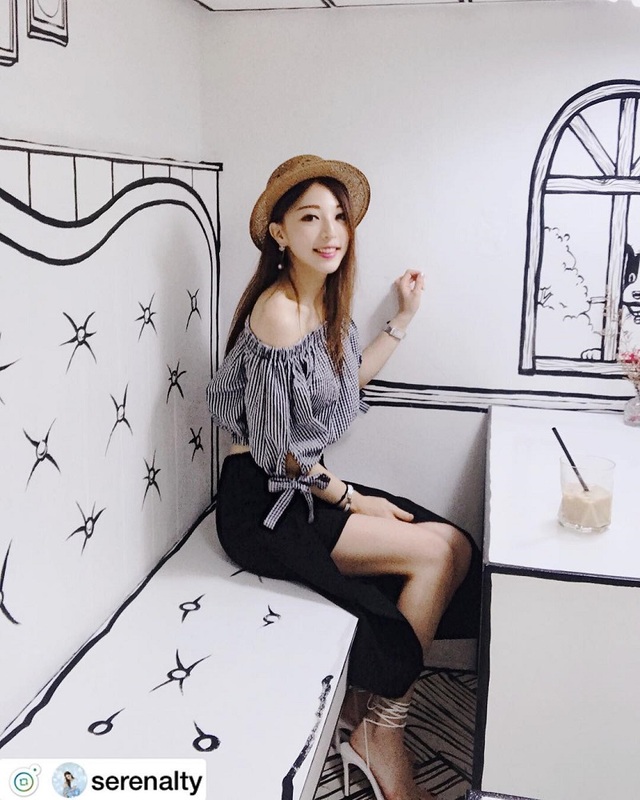 There is also a relaxing outdoor space which is beautifully designed.